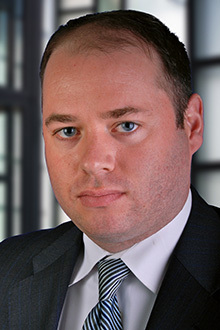 New York, NY, October 23, 2018 - Lewis Brisbois recently prevailed on behalf of several municipal clients in New York’s Appellate Division, Second Department, obtaining the dismissal of a possible seven-figure construction claim brought under New York’s Labor Law 240(1), also known as the “Scaffold Law.” The case was dismissed based on the “notice of claim” shortened statute of limitations defense available to municipal defendants. This was the only available liability defense to the claim, as the plaintiff could otherwise have obtained summary judgment under Labor Law 240(1), which is known to be a very plaintiff-friendly statute. The plaintiff claimed that while working on a construction site at a Brooklyn elementary school, he was struck by a falling scaffold plank, causing him to fall off the scaffold. He sustained spinal injuries and underwent lumbar surgery. He also asserted a significant lost earnings claim, including lost union benefits. We moved in the lower court to dismiss the complaint based upon the plaintiff’s failure to file a notice of claim against the municipal defendants within 90 days of the accident. The plaintiff then cross-moved for permission to file a late notice of claim. Despite evidence of fraudulent behavior by the plaintiff identified in our motion, the lower court denied our motion and granted the plaintiff’s cross-motion, finding that they had established grounds to file a late notice of claim. On appeal, the Appellate Division reversed, finding that the plaintiff had failed to demonstrate actual notice within the 90-day period, a reasonable excuse for the delay, or that the defendants had not been prejudiced by the delay. The court also rejected the plaintiff’s argument that the transitory nature of the scaffolding equipment would have rendered a notice of claim meaningless even if filed on the 89th day after the accident. This decision is a favorable precedent that can be cited in future cases involving notice of claim disputes against municipal entities, and demonstrates that the appellate courts are willing to enforce the notice of claim defense under the right circumstances and with the right evidence. We look forward to citing this precedent in future cases with municipal defendants. 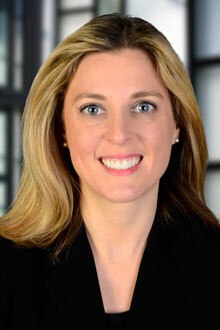 The matter was handled by New York Partners Meghan A. Cavalieri and Nicholas P. Hurzeler. Learn more about our Appellate practice here.